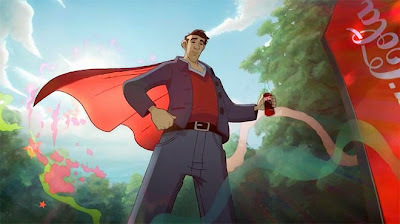 And really, why wouldn't Coca-Cola tap a 6 year old given that the target market for cartoons are in fact children. For their part, Coca-Cola regularly and staunchly denies targeting children with advertising. So have a peek at the screencap above, and watch the ad below, and then you tell me, what demographic do you think this ad is designed to appeal to most?